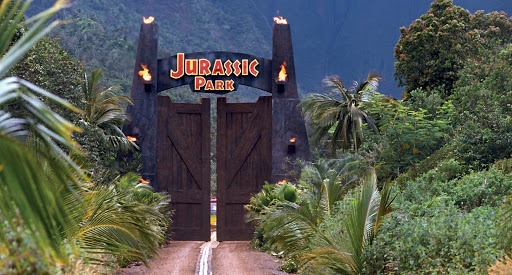 To celebrate Jurassic Park’s 20th Anniversary, the iconic film is being re-released in cinemas today in 3D. Before I start my review, I have a confession to make. Prior to attending a preview screening, I had never seen Jurassic Park. It was never a conscious decision, but somehow (much like how I have never managed to watch Lord of the Rings) it just never made it to my screen. I was warned by friends that it was a scary film, and to be prepared for frightening moments, but I laughed them off. That was a major mistake. The first part of the film is deceptively family fun. There’s some cute (and bonus! contained!) dinosaurs, some awesome foreshadowing, and some hilarious 90s technology (stand out line of the movie – “wow! an interactive CD-ROM” – cue hilarious laughter from entire cinema). And then it all starts to go downhill for our lovely characters. I will admit that I am a total wuss, but even so, I found parts of the film to be “hide-my-face” frightening, and I feel that it was not just me being a scaredy-cat. The dinosaurs are extremely realistic, and the 3D serves to only add to that. I’m not always a fan of 3D, but I felt it was used perfectly in Jurassic Park. 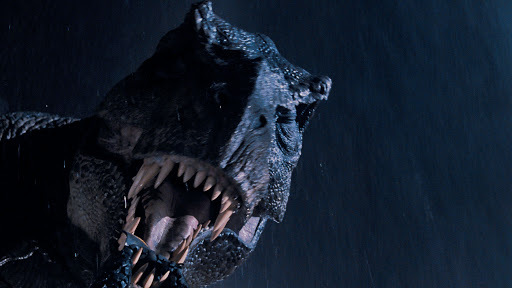 The depth of the 3D added a brilliant realness to the film, and the dinosaurs jumped out at you at perfect moments. A friend commented that in one scene, the 3D was used so well she was momentarily frightened the dinosaur would get her. I’m pretty sure Velociraptors are going to be haunting my dreams for the next few nights (um, weeks), but I thoroughly enjoyed the film. The ending was extremely cheesy, and felt a bit rushed, but that could just be my 2013 film eyes examining quality techniques from 1993. If you’re a fan of the original, or, like me, want to finally jump on the bandwagon, now is the perfect time to grab your friends for a fun Jurassic adventure. Jurassic Park 3D is out now at all good cinemas, through Universal Pictures Australia.